Developing countries are often notorious for their inefficient public service delivery. 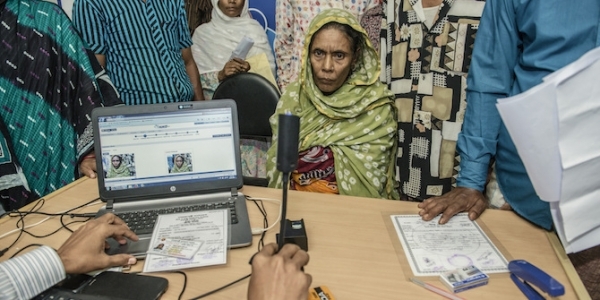 However, the Bangladeshi government is seeking to vastly improve the citizen experience of government services through empathy-led innovation, write Anir Chowdhury and Nick Beresford. This involves arranging for civil servants to act as secret shoppers to identify weaknesses and come up with solutions, often using new technologies. In the last 8 years, Bangladesh has established a new development paradigm through its approach to socio-economic development which is high growth yet inclusive, self-reliant yet collaborative, and respectful of heritage yet ambitious in its use of new technologies. The country has moved up to low middle income status but, more importantly by human development indicators it has achieved a level of development commonly predicted for twice its per capita income. The Digital Bangladesh Vision 2021 agenda – the country’s launch pad for achieving the Sustainable Development Goals – is a long-term vision of poverty reduction and human development anchored in govpreneurship (entrepreneurship by the government) and hopes to empower Bangladeshis to co-create solutions to development challenges. Within this, a2i Public Service Innovation Lab+ was established by the Prime Minister’s Office with support from UNDP in 2007 to ensure easy, affordable and reliable access to quality public services which harnesses (but is not limited to) the power of digital. Bangladesh has significant advantages when it comes to harnessing new technologies, particularly as around 50 per cent of the population is under the age of 24. Many of these youths have or will have jobs in industries that didn’t exist 20 years ago. They might be app developers, cloud computing experst, block chain specialists or big data analysts. At the same time, the technology that we master today threatens to master us tomorrow! Taxi drivers are now Uber drivers, but tomorrow’s driverless cars could negate the need for any drivers. a2i (short for access to information) helps government officials analyse and redesign workflows within and between ministries in order to optimize end-to-end processes and automate non-value-added tasks. On the face of it, it may seem a2i is simply a programme to digitise Government services. It has established over 5,000 Digital Centres providing Internet access throughout the country. As a result citizens can access hundreds of both free public services (such as land records, birth registration, telemedicine, life insurance, passport and overseas job applications) and private services (mobile financial services, assisted rural e-commerce, insurance, various types of computer and vocational training, etc.). But what a2i is trying is more ambitious than simply digitising public services. It is developing a culture of innovation in Bangladesh which aims to change the mindset of civil servants to put the citizen at the centre of all reform/innovation initiatives. To achieve this empathy has been adopted as the first guiding principle. There is recognition that when public services are not designed with empathy for the people who use them, they are useless, or even potentially harmful. Mothers have to travel long distances with their newborns and wait in long queues to collect government maternity allowances; citizens, not knowing where to go to access a service or even how to apply, ping-pong among different agencies, sometimes for months and years. Unscrupulous intermediaries or ‘middle-men’ take advantage and charge exorbitant ‘speed money’. a2i’s empathy methodology arranges for relatively senior government officers to act as secret shoppers and visit citizens’ access points for services outside of their ministry or area of expertise. This exercise puts them in “citizens’ shoes” since they are forced to navigate public systems without any official or intellectual privileges. This experience helps participants develop a critical eye that they use to scrutinise their own agency’s delivery systems and improve the overall quality of services. For example, the methodology empowered a junior land officer to build a covered waiting area for his poor, aged clients and automate arguably one of the most corrupt land registry services thereby becoming a local hero overnight. In Fulbaria, Mymensingh district, over 80,000 farmers needed up-to-date and timely ways to identify and treat plant diseases. The area had just 46 government agricultural field officers based at the sub-district office who could assist with this, and as a result the farmers had to spend a lot of time, money and effort travelling 20-30 kilometers to consult them. Md. Abdul Malek, an Agriculture Extension Officer and a graduate of a2i’s empathy training course, thus developed a standardised pictorial database of over a thousand problems for 150 plant types using 3,500+ pictures and made it freely available online. Farmers, often with help of their educated children, are now using this database to easily identify plant problems and learn about solutions. Bangladesh has more than 30 million students and nearly 1 million teachers in over 120,000 primary and secondary schools. The cost-intensive nature of traditional face-to-face teacher training methods, limited infrastructure and resource constraints means that it takes 5 to 6 years to update the knowledge and skills of every teacher in the system. Afroza Nasreen Sultana, an Assistant teacher at Rangpur District School came up with the idea to create an online platform that would connect teachers in need of support, guidance and training with talented, high performing peers. This triggered the idea of developing the ‘Teachers’ Portal’. The portal now has a membership of nearly 150,000 primary or secondary school teachers. Through this online platform, every member-teacher is now connected with ‘teacher-educators’ and mentors who are accessible 7 days a week. Innovation in public service delivery is not rocket science but it requires understanding citizens’ struggles. By promoting empathy, civil servants are encouraged to engage with the practical problems and empowered to look for solutions. With encouragement from top bureaucrats, over 600 such pilots are now running across healthcare and education, crops and fisheries, land and human rights. From the Prime Minister’s Office, a2i works with all ministries, districts and local government institutions in not only triggering and nurturing vital innovations, but also facilitating their scale-up throughout the country through the Service Innovation Fund. Both the Digital Centres and the Teachers’ Portal are examples of successful local level innovations which have been rolled out on a national level. Successful pilots are celebrated at Innovation Summits to recognise success and award innovators to motivate others to join in. Though developing/using empathy is widely recognised to be good practice for civil service reform internationally (UK’s Nesta and Behavioral Insights Team were notably among the earliest and strongest proponents), this unique methodology has been developed by a2i from nearly a decade of trial/error and learning in Bangladesh. a2i has now started championing south-south cooperation, sharing its learning, models and methodologies with other developing countires in the region: ‘a2i Maldives’ was launched in September 2015 and Bhutan signed an MoU with a2i in July 2016. To borrow from the famous African proverb, “If you want to go fast, go alone. If you want to go far, go together.” Given the scale and urgent nature of public service challenges globally, we have to find a way to go far and fast, together. Anir Chowdhury is a Policy Adviser at the Access to information project at the Prime Minister’s Office in Bangladesh. Nick Beresford currently the Country Director of UNDP in Cambodia who used to be the Deputy Country Director of the UNDP in Bangladesh.